Have visited restaurant Grotesk couple of times but last visit was to Grotesk Winebar. Winebar has unfortunately closed it’s doors and so called Meatbar, where we dined this time, had changed a little bit it’s exterior and menu. Grotesk locates by the same street as Ragu where we dined a week ago. Picture is taken from Grotesk window table. 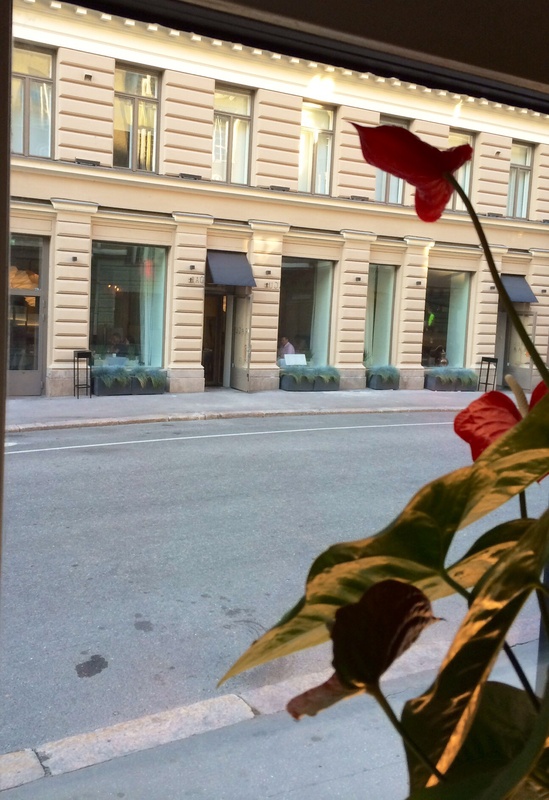 Ludviginkatu is nowadays “restaurant street” as Greek restaurant El Greco locates next to Ragu. Menu is short and waiter asked, if we would like to try Chef’s menu with 3-6 courses with matching wines. But kitchen was not able make changes to portions, for instance use something else instead of peas and onions. We should have made the requests beforehand. 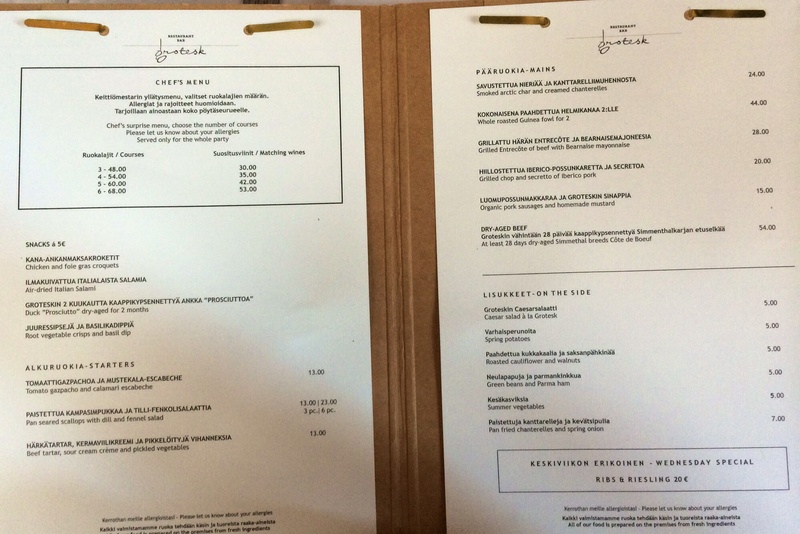 Terrace menu is even shorter consisting of same portions. So we decided to choose something from the menu. 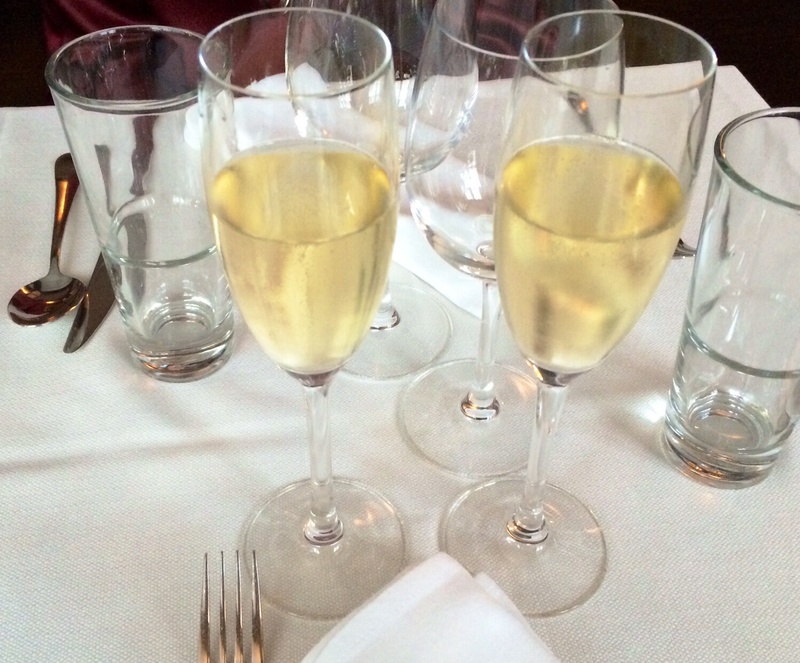 While thinking what to order, we had glasses of Pol Roger Brut champagne. Dry and balanced taste as Pol Roger Brut usually has. 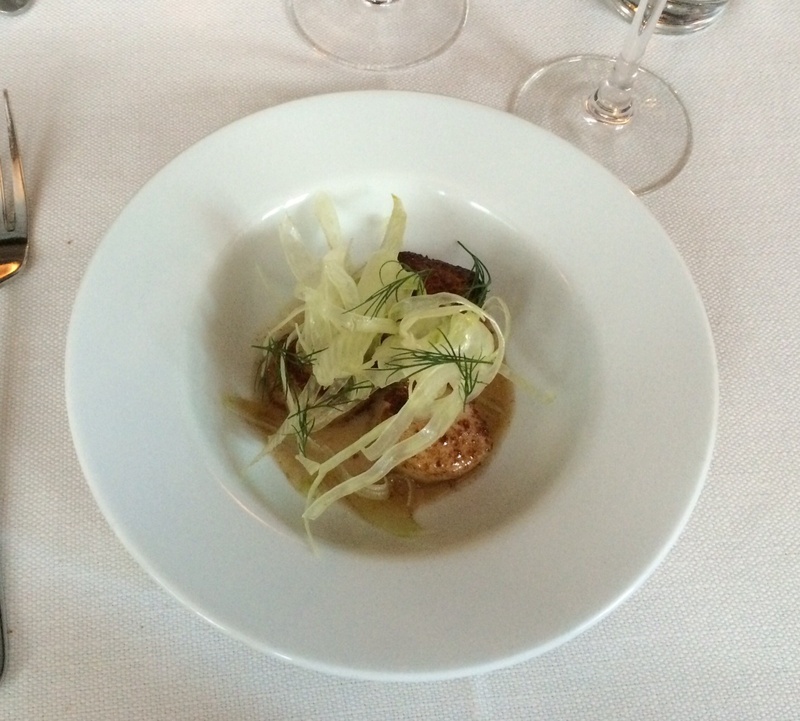 For starters we both had Pan seared scallops with dill and fennel salad (3 pc). Scallops were small and pan searing was made perfectly. Somehow fennel did not taste so much, maybe the salinity covered it. Can recommend this as a starter. For main courses we ordered Smoked arctic char and creamed chanterelles with Spring potatoes and Grilled chop and secretto of Iberico pork with Caesar salad à la Grotesk. Skin of arctic char had been removed before serving which made the fish quite pale. For side dish potatoes, because all other side dishes included ingredients which were not suitable. All side dishes, by the way, have same prices. 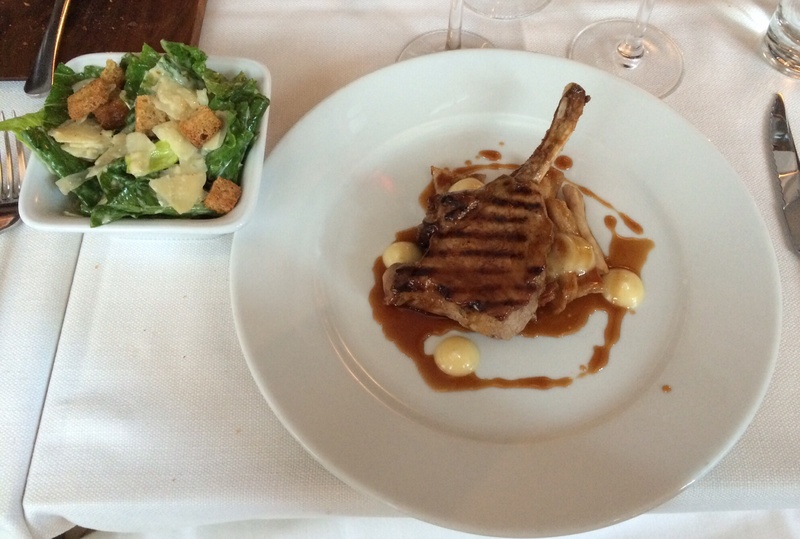 Grilled chop was excellent but secretto a little bit too salty. For side dish had caesar salad, which matched well with both pork dishes. This time no desserts due to same problem with side dishes. Asked for basic sorbet, but that was not available. Grotesk was the first restaurant to lower wine prices and it got some publicity after announcing it. They add 20€ fixed margin for each wine bottle, but price reduction did not seemed to apply glass prices. Glass of house red wine cost 9,60€. 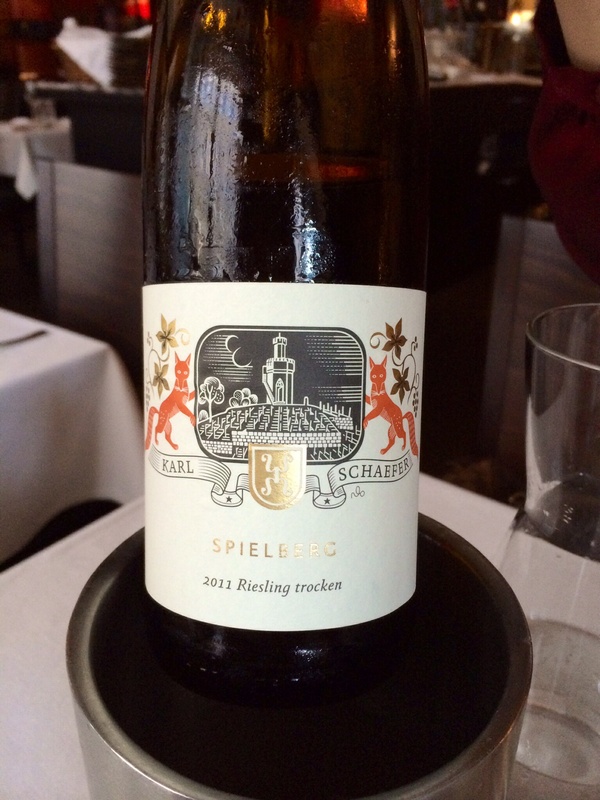 Anyway, for wine we had Spieleberg Riesling trocken 2011 from Pfaltz, Germany. Producer is Karl Schaefer. This wine was excellent choise recommended by waiter considering the price 42€. Balanced minerality and acidity with some citrus and lime. 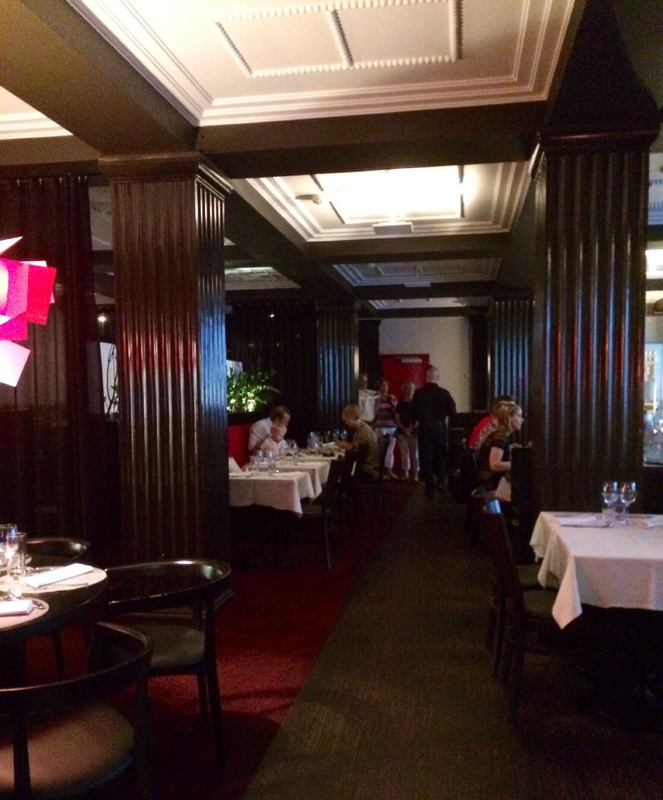 The interior of Grotesk is not so red as it used to be, but lighting was as dim as it has always been. Most of the diners and drinkers were at outside terrace, but notice that you can not reserve table at the terrace after 8PM, if you want to dine there. And it is wise because terrace will be crowded and noisy. Grotesk used to be Michelin Bib Gourmand restaurant a couple years ago but not any more. It is understandable as concept has changed more relaxed and rough. Maybe main focus is the terrace, which is really popular in the summer time. 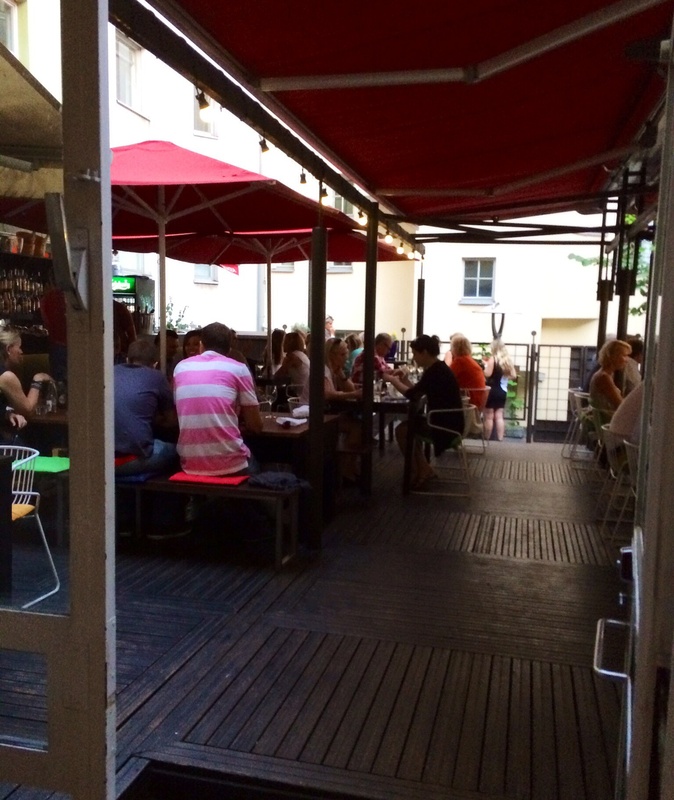 If you visit Helsinki in the summer time, it is one of the restaurant terraces worth to visit. Food review is partly based on price/quality ratio. By decreasing for instance side dish prices (5€ for potatoes is too much), grade for food would be better.